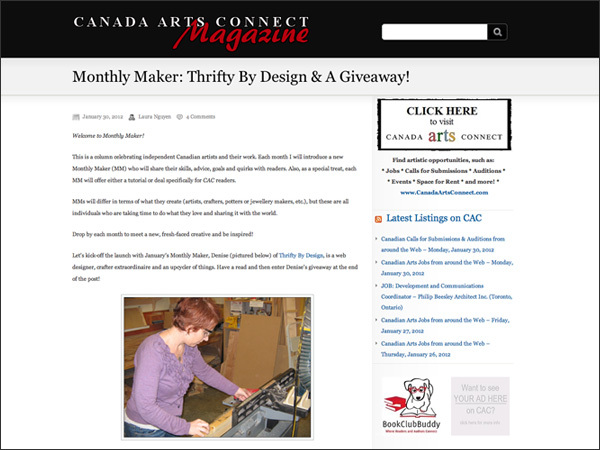 The Monthly Maker feature came out today! The Canada Arts Connect Magazine column celebrates independent Canadian artists and their work. 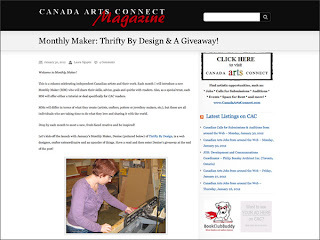 Each month they introduce a new Monthly Maker (MM) who will share their skills, advice, goals and quirks with readers. Each MM will offer either a tutorial or deal specifically for CAC readers. I am Ms. January! 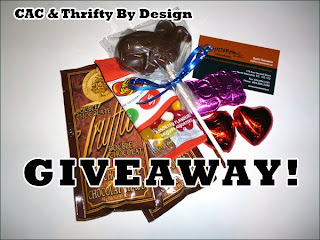 Be sure to read the article and comment - you could win one of my Valentine's Day goodie bags! And definitely let me know if you try the tutorial. I tried to make it easy and straight-forward. Big thanks to my buddies Marlene and Sylvia who are part of the Langara Art Auction - I donated a piece of furniture which led to the MM feature. And another big thanks to Laura Nguyen for a great article on TBD! Laura rocks!